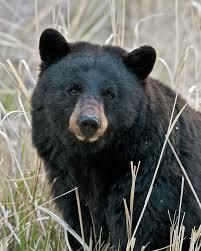 Black Bear Hunting Outfitters near Chapleau, Thessalon, Blind River, Sault Ste Marie, White River, Wawa &Hornpayne. Black Bear Hunting Outfitters near Chapleau, East Algoma, North Channel, Thessalon, Mississagi Valley, Elliot Lake, Blind River, Spanish, Sault Ste Marie, White River, Wawa and Hornpayne. Agnew Lake Lodge – With an area of 48.000 acres on our own bear management area (BMA), Agnew Lake Lodge is the perfect place for your next black bear hunt. We bait our two dozen stands all summer long to ensure plenty of activity for our hunters. Tags are limited, sign up now! Camp Missanabie – Hunting at Camp Missanabie is truly a sportsman’s paradise. We limit the number of hunters per week and per season to make every effort to ensure a quality hunt. Hunting areas are located on the edge of the Chapleau Game Preserve. What could be better than hunting and fishing all in the same trip and all at the same price? This package is truly a sportsman’s dream. Bear hunting at Camp Missanabie includes the use of a boat and motor for two hunters in the party. Access to bait station by boat or ATV are available. Includes accommodations; personal guides to baited area; baited area assigned based on physical needs or weapon selection; daily bait; daily boat gas; over 300 square kilometers of bear country on the edge of the Chapleau Game Preserve; all hunts are fair chase hunts; assistance with retrieval of downed animal; freezer service; and clean, screened accommodations for process. Four Seasons Bear Guiding and Cabins – We are located on the border of the Chapleau Crown Game Preserve. As a result, we have the best Black Bear, Moose, Wolf, Ruffed & Spruce Grouse hunting in Canada. Our trophy lake has great fishing for Walleye, Northern Pike, Smallmouth Bass and Brook Trout as well as Lake Trout in other drive-to lakes. Our housekeeping cabins are comfortable, clean and equipped with all the comforts of home. ATV trails are plentiful so you are welcome to bring your ATV’s with you. Kanipahow Wilderness Resort – Black bear hunting has been a time-honored family tradition for over forty years. We pride ourselves in having a world class Black bear hunting resort. Our whole family is trained and experienced with black bear hunting techniques which has resulted in a 90% success rate for our customers. Rifle hunters can take advantage of strategically placed tree stands with clear view of the hunt area. Bow hunters can take advantage of portable tree stands to maximize their targeting strategies. We bait our black bears with a secret family recipe made up of pork, fish, beef, poultry and other ingredients and scents. This mix is placed out in the target zone weeks before your black bear hunt thus maximizing the return of the black bear. Moose Horn Lodge – Located near Chapleau and Wawa. 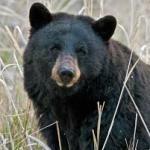 We offer a quality fall black bear hunt with an excellent success rate & great personal service. Clientele primarily repeat business, new hunters they bring with them & word of mouth. Over 1000 square miles of exclusive hunting area.